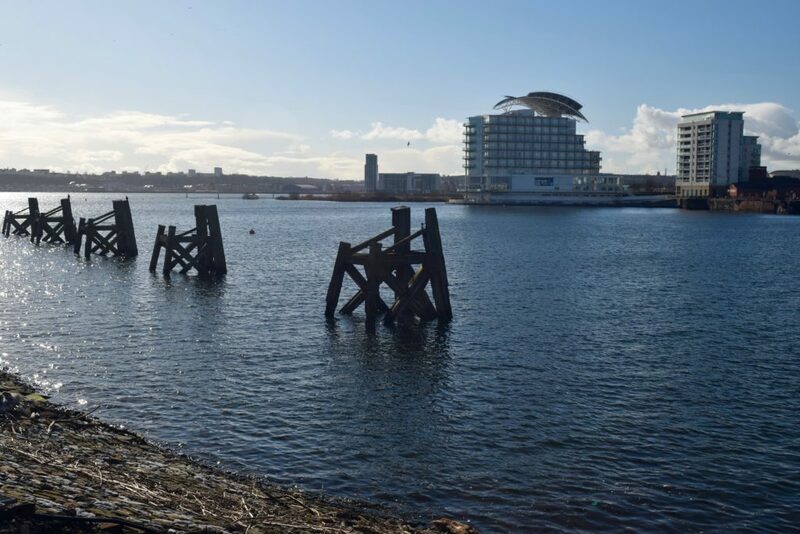 The most recent set of data from the Land Registry has stated that property values in Cardiff and the surrounding area were 5.8% higher than 12 months ago and 12.27% higher than January 2015. Despite the uncertainty over Brexit as Cardiff (and most of the UK’s) property values continue their medium and long-term upward trajectory. As economics is about supply and demand, the story behind the Cardiff property market can also be seen from those two sides of the story. 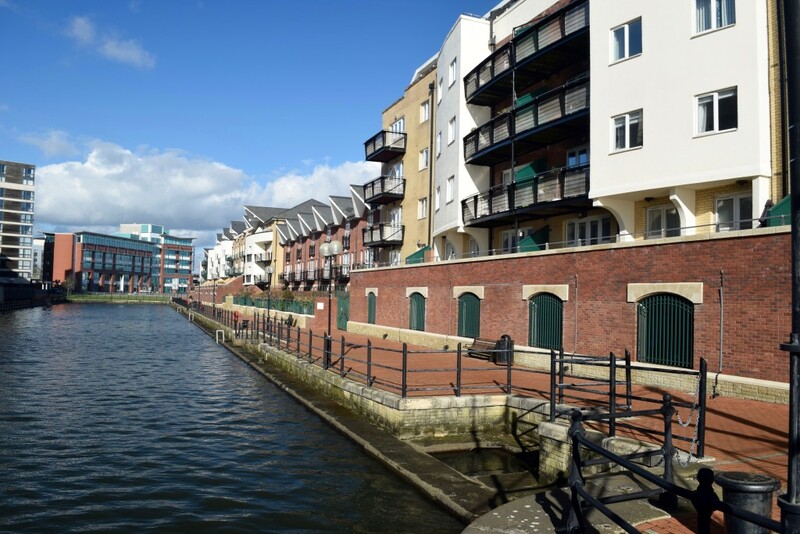 Looking at the supply issues of the Cardiff property market, putting aside the short-term dearth of property on the market, one of the main reasons of this sustained house price growth has been down to of the lack of building new homes. The draconian planning laws, that over the last 70 years (starting with The Town and Country Planning Act 1947) has meant the amount of land built on in the UK today, only stands at 1.8% (no, that’s not a typo – its one point eight percent) and that is made up of 1.1% with residential property and 0.7% for commercial property. Now I am not advocating building modern ugly carbuncles and high-rise flats in the Cotswolds, nor blot the landscape with the building of massive out of place ugly 1,000 home housing estates around the beautiful countryside of such villages as Lavernock, Sully and Radyr. The facts are, with the restrictions on building homes for people to live in, because of these 70-year-old restrictive planning regulations, homes that the youngsters of Cardiff badly need, aren’t being built. Adding fuel to that fire, there has been a large dose of nimby-ism and landowners deliberately sitting on land, which has kept land values high and from that keeps house prices high. The Brits have historically put their faith in bricks and mortar, which they expect to rise in value, in numerical terms, at least. Nationally, the value of property has risen by 635.4% since 1984 whilst the stock market has risen by a very similar 593.1%. However, the stock market has had a roller coaster of a ride to get to those figures. For example, in the dot com bubble of the early 2000’s, the FTSE100 dropped 126.3% in two years and it dropped again by 44.6% in 9 months in 2007… the worst drop Cardiff saw in property values was just 18.09% in the 2008/9 credit crunch. Despite the slowdown in the rate of annual property value growth in Cardiff to the current 5.8%, from the heady days of 9.89% annual increases seen in mid 2014, it can be argued the headline rate of Cardiff property price inflation is holding up well, especially with the squeeze on real incomes, new taxation rules for landlords and the slight ambiguity around Brexit. 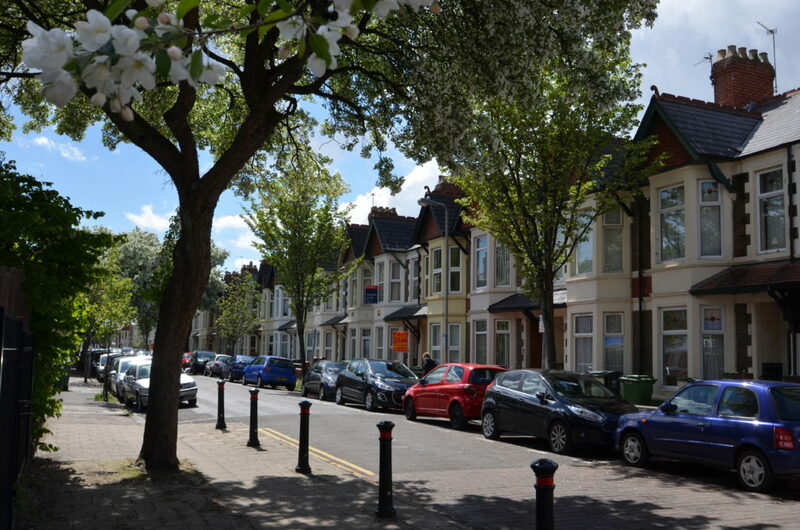 With mortgage rates at an all-time low and tumbling unemployment, all these factors are largely continuing to help support property values in Cardiff (and the UK). Over the last 12 months, the UK has decided to leave the EU, have a General Election with a result that didn’t go to plan for Mrs May and to add insult to injury, our American cousins elected Donald Trump as the 45th President of the United States. It could be said this should have caused some unnecessary unpredictability into the UK property market. So, what does all this mean for the homeowners and landlords of Cardiff, especially in relation to property prices moving forward? One vital bellwether of the property market (and property values) is the mortgage market. The UK mortgage market is worth £961,653,701,493 (that’s £961bn) and it representative of 13,314,512 mortgages (interestingly, the UK’s mortgage market is the largest in Europe in terms of amount lent per year and the total value of outstanding loans). Uncertainty causes banks to stop lending – look what happened in the credit crunch and that seriously affects property prices. Thankfully, after a period of stagnation, the Cardiff property market started to recover slowly in 2011 as certainty returned to the economy as a whole and Cardiff property values really took off in 2013 as the economy sped upwards. Thankfully, the ‘fire’ was taken out of the property market in Spring 2015 (otherwise we could have had another boom and bust scenario like we had in the 1960’s, 70’s and 80’s), with new mortgage lending rules. Throughout 2016, we saw a return to more realistic and stable medium term property price growth. Interestingly, property prices recovered in Cardiff from the post Credit Crunch 2009 dip and are now 41.3% higher than they were in 2009. Now, as we enter the summer of 2017, with the Conservatives having been re-elected on their slender majority, the Cardiff property market has recouped its composure and in fact, there has been some aggressive competition among mortgage lenders, which has driven mortgage rates down to record lows. This is good news for Cardiff homeowners and landlords, over the last few months a mortgage price war has broken out between lenders, with many slashing the rates on their deals to the lowest they have ever offered. For example, last month, HSBC launched a 1.69% five-year fixed mortgage! In the Cardiff postcodes of CF3/5/10/11/14/15/23/24, if you added up everyone’s mortgage, it would total £5,548,345,594! As the dust starts to settle on the various unread General Election party manifestos, with their ‘bran-bucket’ made up numbers, life goes back to normal as political rhetoric on social media is replaced with pictures of cats and people’s lunch. Joking aside though, all the political parties promised so much on the housing front in their manifestos, should they be elected at the General Election. In hindsight, irrespective of which party, they seldom deliver on those promises. Housing has always been the Cinderella issue at General Elections. Policing, NHS, Education, Tax and Pensions etc., are always headline grabbing stuff and always seem to go ‘the ball’. However, housing, which affects all our lives, always seems to get left behind and forgotten. Nonetheless, the way the politicians act on housing can have a fundamental effect on the wellbeing of the UK plc and the nation as a whole. One policy that comes to mind is Margaret Thatcher’s Council House sell off in the 1980’s, when around 1.4m council houses went from public ownership to private ownership. It was a great vote winner at the time (it helped her win three General Elections in a row) but it has meant the current generation of 20 somethings in Cardiff (and elsewhere in the Country) don’t have that option of going into a council house. This has been a huge contributing factor in the rise of the private renting and buy to let in Cardiff over the last 15 years. So, one might ask exactly how many new homes do we need to build per year? It is commonly accepted that not enough new properties are being built to meet the rising need for homes to live in. A report by the Government in 2016, showed that on average 210,000 net additional households will be formed each year) up to 2039 (through increased birth rates, immigration, people living longer, lifestyle (i.e. divorce) and people living by themselves more than 30 years ago). In 2016, only 140,600 homes were built … simply not enough! Looking at the numbers locally in Cardiff and the surrounding area, it is obvious to me, that we as an area, are not pulling our weight either when it comes to building new homes. In the 12 months up to the end of Q1 2017, only 363 properties were built in the Cardiff City Council area. Go back to 2007, that figure was 1,509, 10 years before that in 1997, 1,152 new homes and further back to 1988, 1,160 new homes were built. No 20 on the countdown of the to 20 streets in Cardiff based on turnover and popularity.